Xhale Bar & Lounge – Hookah Bar, Full Bar, and Nightclub. where you come get your groove on with a live DJ. Show off your dance skills dancing the night away to the latest hits. The hookah bar is a great place for you to enjoy smoking a variety of flavors in a great atmosphere. Enjoy Hookah flavors like cherry, apple, mint, chocolate, and licorice, cappuccino, and watermelon flavors. The full bar and nightclub is one of South Lake Tahoe’s best night scenes. Come to experience a night of hookah, dance, laughter and fun. 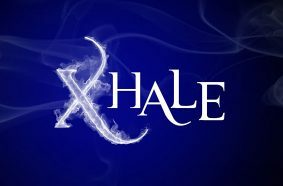 Xhale Bar & Lounge is open Monday through Sunday 9PM – 4AM. Must be 21 and older.